Vermouth is undeniably one of the most popular and highly preferred alcoholic beverages then and now. Traditional and non-traditional vermouth has earned the attention and passion of numerous wine and spirit connoisseurs from every corner of the world. It continuously enjoy an ever-growing market as vermouth remains to be the mainstay in special celebrations and cocktail parties. High quality bottles from certified vermouth distributors UK include Cinzano in Bianco, Orancio, Rosso, and Extra Dry. 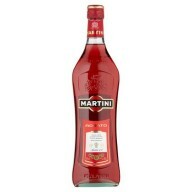 The Martini Bianco selection is another bestselling collection which comes in Rosato, Rosso, Extra Dry, and Bianco variations. There are other top brands from famous producers in Italy and other areas.